YESS, together with the Young Hydrologic Society (YHS) published a perspective paper on major challenges and opportunities that arise in the study, of the understanding, and the provision of regional information for Climate, Weather and Hydrological (CWH) extreme events (Langendijk et al., 2019; doi: 10.3389/fenvs.2019.00006). This perspective emerged from the discussions of the three-day Young Earth System Scientists – Young Hydrologic Society (YESS-YHS) workshop, which was conjointly held with the Global Energy and Water Exchanges (GEWEX) Open Science Conference in Canmore, Canada. The roughly 40 ECRs from 26 countries discussed three possible ways forward in the field, described in more detail in the paper. 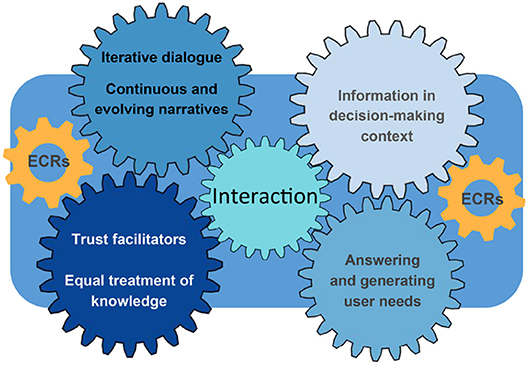 Firstly, we outline the need to foster close interactions between scientists and users to improve the mutual understanding and consideration of objectives, challenges, and constraints. Secondly, we describe the need for projections/predictions across various spatial and temporal scales to deliver the required regional-to-local information about extreme CWH events. Finally, we assess the current state of observational data to support the understanding and prediction of extreme events, while simultaneously recognizing the opportunities and limitations of new technologies to collect Earth system science data. Furthermore the paper highlights the important role of ECRs in embracing the outlined pathways and addressing the long-standing challenges in the field, simultaneously providing great opportunities for ECRs to take a leading role in moving CWH sciences forward in the three possible ways forward identified: a stronger interaction between users and scientists, a collaborative modelling approach between the different modelling communities, and possible inclusion of unconventional data sources in scientific studies. 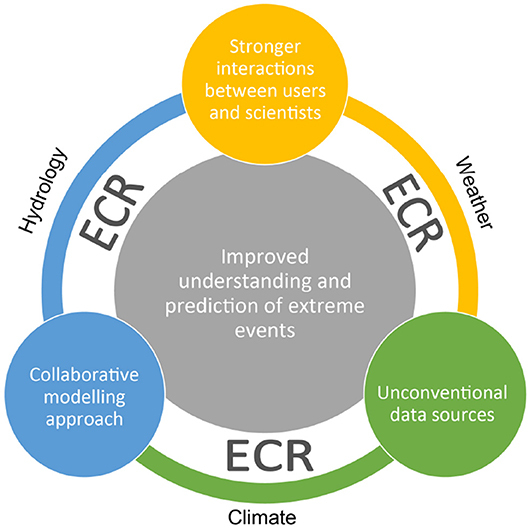 By making strides in the three domains, the scientific community can gain improved quantification and prediction of extreme events, and deliver more useful and relevant regional information to users. YESS and YHS encourage the global community to support and strengthen their involvement with ECR communities to advance the field of interdisciplinary Earth system science in the upcoming years to decades and to foster advances in the field of CWH sciences. We wish to thank the Global Energy and Water Exchanges project (GEWEX), as well as the World Climate Research Programme (WCRP), the World Weather Research Programme (WWRP) and the Global Atmosphere Watch (GAW)—the research arms of the World Meteorological Organisation (WMO), who supported the participation of the majority of the co-authors of this paper, as well as the organization of the Young Earth System Scientists—Young Hydrologic Society (YESS-YHS) workshop, which was conjointly held with the GEWEX Open Science Conference in May 2018.